LIMITED TIME DEAL: Use code MSAUNCONDITIONALVIP35 to save 35% off any month-to-month subscription! Whenever I get a box like this, my mentality is usually “Well, if I don’t love something, I’ll gift it to someone who will love it.” But this is the first time where the box itself explicitly suggested gifting the items away! Unfortunately, I don’t think the pieces in this box are quite my mom’s style… Luckily, they’re up my alley! Here’s the little info card that came in the box. And here’s the product list! I love the understated, sophisticated vibe of Zara’s clothing, but I’ll be honest that I don’t have a lot of experience with their accessories. I really like rose-gold metals, so I’m eager to put these pieces on and give ’em a try. Cate & Chloe VIP uses these cute, bow-tied boxes to package their products. Love it! This simple necklace has a great pinkish tint to it. It’s almost more copper-toned than rose gold, but I like it regardless. The chain length is 16 inches but extends to 18. It sits a bit higher on me than I’d like—I wish there were about 2 inches more length that would let it sit more squarely in the center of my décolletage. I do love that the quality of the metal means this look didn’t immediately turn my neck green like so many other necklaces tend to! This box also contains a set of earrings with the same color and design as the necklace’s pendant. I’m not the biggest fan of the two crystals along the edge of these earrings (nor the necklace’s pendant). Something about it makes the design feel kind of dated to me… but not so much that I won’t wear the heck out of these versatile earrings! This bracelet isn’t technically part of the Zara “set”, but its rose-gold finish definitely coordinates. Again, though, I feel like the design is a little dated to me. I think it’s a bit because of the shape (it feels a tad ’80s to me) and partly because of the black crystals—set against the pink, coppery metal, the black feels a bit harsh. But again, it’s a pretty good go-to if I need an easy way to bring sparkle to an outfit. I’ll probably hang on to it for now, but if I see any friends really light up when they see it, I might also just offer it to them, haha! The bonus item this month is a purse-ready spray bottle of detangling conditioning spray with a bunch of natural ingredients involved. Obviously, my hair is super short, so I don’t do much styling nor deal with many tangles. But as you can also tell, I’ve been using my short hair moment as an excuse to test drive all of my most daring hair color dreams. My last bold color is finally fading out, and I’m left with bleach blonde strands that love TLC like this spray on conditioner. It has a great, fresh, summery scent and left my hair feeling softer and happier after working in a few spritzes. This won’t be my only conditioning product, but it’ll be nice to have in a pinch (think after spending an afternoon in the hair-zapping summer sun). Verdict: In my experience, Cate & Chloe has a more conservative style than I’d typically look for in a jewelry subscription. That said, I’ve gotten so much use out of so many of their products, just because they’re so simple and versatile. I don’t know how much wear the bracelet will get, but I’ve already worn the stud earrings and necklace multiple times. They really just blend seamlessly into so many looks, and the rose-gold finish keeps them looking on-trend. The one thing I’m never sure of with this subscription is whether the prices for the items are fair or not. Going by the Cate & Chloe prices, there’s $450.00 of value in this box—that seems a little high, right? Especially since the box is only $39.99 (shipping for the VIP box is free)? That $39.99 feels really fair to me, but I would caution that while the items you get are nicer quality, they might not be upwards-of-$500 nice! 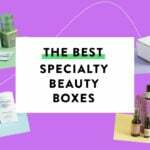 What do you think of the May Cate & Chloe box? I recently subscribed and attempted to take the Style Quiz, but keep receiving an error msg. I have reached out to CS, but not heard back yet. Is anyone else having this issue? This is my second box on this subscription. I somewhat enjoyed my first box but May’s box was a huge disappointment. I received this really flimsy choker with a gauche yellow gold pendant on it. I also received a leather and yellow gold bracelet when I had put in my personal profile that I only wanted silver and rose gold. I am going to give this subscription one more month but I am going to start looking at other jewelry subscriptions to see if there is something out there that fits me more. I do like the pieces but I don’t wear or like rose gold. I have the mixed style profile for classic and trendy pieces. I would have loved the bracelet if it had been in gold. The earrings too. I can’t wait to see what I get in my VIP box.